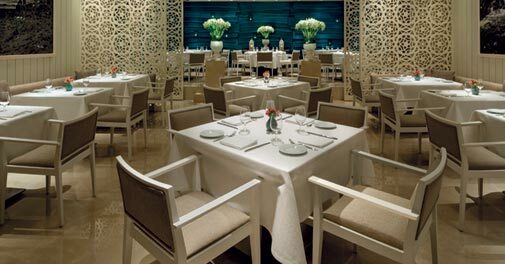 The Bandra wing of Maritime by San Lorenzo retains 90 per cent of the original menu. It's not every day that you walk into a restaurant at a five-star hotel, and the staff promises food that seems straight from home (if it's in Italy, that is). 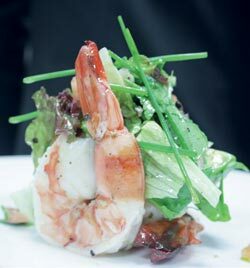 That's what we got when we arrived at Taj Lands End Hotel's newest restaurant, Maritime by San Lorenzo. The eatery has opted for Italian cuisine, a move that's likely to be welcomed by Bandra's resident Bollywood celebrities who usually head to the Mezzo Mezzo in Juhu to partake in their pasta. This is the first time San Lorenzo, which celebrates its golden jubilee in October, has ventured out of the UK. Taking charge of their Indian wing are Alessandro Bechini and Marco Foroni, two San Lorenzo-trained Italian chefs, and - according to executive chef Anirudhya Roy - 90 per cent of the actual menu has been retained. We started the evening at the bar with prosecco, an Italian sparkling wine, from an array of tasty tipples that included prosecco cocktails, sgroppino and negroni. Delicious and perfect for the meal. The salmon carpaccio - with thin slices of the Norwayimported fish marinated to perfection with sea salt, brown sugar and herbs - instantly got our thumbs up. Though you will not find the word 'pizza' on the compact two-page menu, do try the focaccia tartufata - which comes as close as it can get to Italy's favourite export. The thin-crusted focaccia with rucola, parmigiano and a sprinkling of truffle oil is a must-have. In the mains, the lasagna with spinach and lamb and spaghetti with freshly diced tomatoes and basil lived up to the definition of great flavourful homemade food. While the lamb chops were a tad tough, the prawns in the risotto - unfortunately - were slightly overdone. But that, we realised, was little more than a minor grievance given everything else on the menu, As we sipped on the fruity bellini and prosecco combined with peach puree, we found ourselves debating the need for dessert. But then, no Italian meal is complete without the tiramisu. With a few spoons of the delicious dessert and some of the home-made vanilla, chocolate and raspberry sorbets, we stepped out to witness the Arabian sea in all its glory. It was the perfect end to a sublime maritime experience.